Piloswine's captivating eyes: Fanfiction vs. Original, which one's the best? Fanfiction vs. Original, which one's the best? The right answer is... IT DEPENDS. Well, you can't judge a Fanfiction in a negative way just because that is a Fanfiction. Usually, the main fault that is given to this kind of stories, is that they use characters, locations and plots already written by someone else. Actually, I don't see a fault in it. It's true that there are pretty bad written fanfictions (mine are on top of it all), but I read some that,(And I'm sure of it), if you weren't aware of the fandom they were writing in, I'm sure you'd appreciate them as well. I read some fanfictions that were far better than original stories. I don't like to put all the blame always on the same overly popular books, but, took 50 shades of grey. I'd never even think about confronting it with some fanfictions you find on the web! Never! I have to admit that my first contact with a fanfiction, wasn't one of the best. I was on Facebook, scrolling down a friend's page when I found that she liked a fanfiction on Lady Gaga. Actually it was one of the classical fanfictions where the main character is a Fan-Sue which is taken into notice by Lady Gaga just because she is...Honestly, I've never understand what that character had so special. The result from that reading was that I was left completely shocked. I read few more FF on Lady Gaga, just to see if they were all the same. Unluckily, when you look for them in the wrong place, all you can face is a bunch of stories written by young people that, knowing they can't meet their Goddess in reality, they just try to make it real through words and paper (Nothing to say against it. It's right of every single people, young or old, to express itself in any way). Nice way of expression, but actually, I wasn't very impressed (maybe even because I'm not a great Gaga fan). Some times later, looking for stuff on Gundam Wing, I came across with Flying on Broken Wings, and my mouth literally fell to the ground. I don't think there's the need to express my admiration towards the author. It's an asylum AU where (almost) all the pilots suffer of some mental illness. I loved how she kept the link with the character's personalities (Ex. Trowa, that's not one to talk a lot in the anime, she depicted him like a boy that is mute), and the way she writes and always keep in the storyline is fantastic! 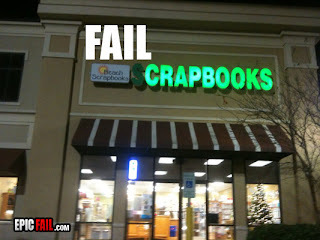 Better than many second category original story that you find on the bookstores, I mean, the ones written just to sell. I've written some original stories as well, and I have to admit that I found it easier to write original ones, rather than fanfictions. I mean the first fanfictions I wrote (and that I completely deleted form my Laptop) were full of OOC, Mary Sues and stuff. I didn't like them in the first place, it's true that I love my OCs and everything, I just placed them inside in the wrong way. I don't know if people ever liked that crap, I just deleted them after few moments I published them. I needed to do several attempts before writing something I liked, and that had some sense. Is there a gap between fanfiction and original stories? I don't know, sometimes it's pretty hard to say. There's an Author that has published several books, that manly writes about famous historical figures solving murders. 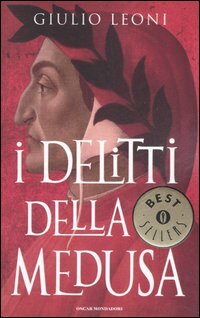 I read I Delitti della Medusa. In which the main character is Dante Alighieri. The writer wrote about his personality and made him interact with who history told us was his best friend. He perfectly depicted the historical frame, not sparing atrocities and bad words. And in the whole book, he just gave a creative alternative to Guido Cavalcanti's banishment (Which is something really happened, he just took the event and wrote a story on it). This is one of my favorite books, and actually I don't quite know if classifying it as an Original Sotry or FanFiction.